The world is full of majestic creatures which we humans are just too lucky to have coexisted with them. We may have the greater intelligence, but in terms of grandeur, they have the top spots. One amazing animal species out there are the whales. Whales are members of the giant class and there role in the ecosystem is that of very important. They are mammals just like us however they chose the oceans to where they roam and dominate even if they can’t breathe on water. The whale family has a number of species which differ physically yet all are relatively larger than the average human. The diversity and beauty that the whales offer the world inspire a lot of artists out there to create masterpieces. In the tattoo world, the influence of whale designs are as large as their sizes. There are whale tattoos that are done in traditional, abstract, or geometric way. 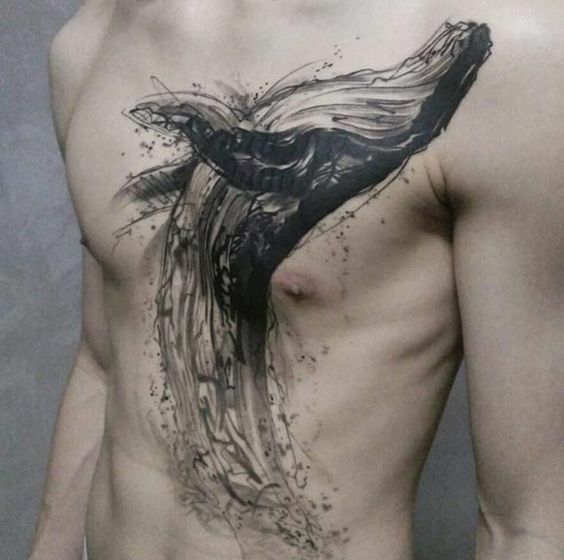 Some whale tattoos are incorporated in an ocean spectacle masterpiece with them as the center of attraction. Here are a few of these amazing whale tattoos that we found on the web especially in social media sites.